Home Tips	3 Fun ways to use Dollar Store Plastic Spiders! 3 Fun ways to use Dollar Store Plastic Spiders! I REALLY don’t like spiders. Especially big ones! But, for Halloween fake ones are fun and harmless. 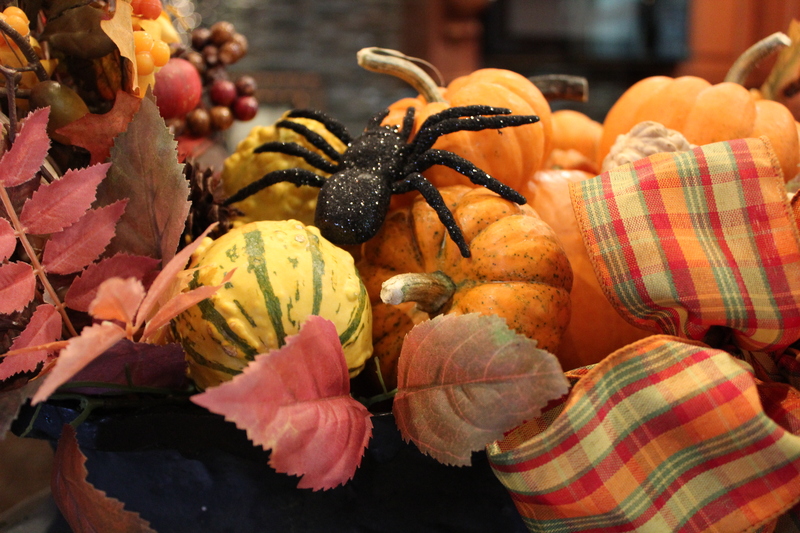 Here are a few fun ways to use dollar store spiders in your Halloween decor! I bought a bag of plastic spider rings a few weeks ago at the dollar store. It was a pack of 25 for $1 in black, orange and green. Other than using them as actual rings there are several other fun ways to use them! 1-Use them as a tie for goodies. I also bought some plastic Halloween cups at the dollar store, four for $1. I filled them with candy and wrapped cellophane around them and used a plastic spider ring to cinch the top. I’ll give these away to our favorite little trick or treaters soon. I also baked some Halloween themed Nestle’s oatmeal chocolate chip cookies (you can see the recipe on my blog). Once baked and cooled I put half a dozen cookies on clear plastic plates, wrapped them in cellophane and again used a plastic spider ring to cinch the top. These cute cookies made with orange and black chocolate chips were festive and yummy! 2-Using the same plastic spider rings, I cut the loop off of the back and put them in a clear Softsoap soap dispenser. First I removed the labels from the front and back of the container. Then I rubbed off the sticky residue using Goof Off. Once clean and dry, I stuffed a few black spiders in the soap. The thick soap keeps the spiders in suspended animation to make a fun and creepy accent in the bathroom or kitchen. I added a piece or orange and black jute in a bow for a little extra color. Hope you have a wonderful week! Enjoy this nice fall weather!